There’s nothing you need to know about me. You mind yours and I’ll mind mine. In a nut shell , goodbye war robots, I wish I could say I’ll miss you, but I been doing that for 4 or 5 months at least, I miss the old you, no offense but the new you sux. P.S. got only respect for the player base, but someone will still hate most likely, save your energy for someone who will be back to read it, as I will not. This game has turned to pure garbage, which is a shame as there are some great peeps playing it, in the clan I’m part of and just in general. I’m moving on to something less money grabbing, I mean you can’t even get new weapons updated before they drop new ones and lock down and corrosive weapons?!?!? I mean come on. No offense to any of y’all that like those weapons, to each his own. Those Greek bots coming next though, they just seem ridiculous. Silver cost and to much b.s. content has just taken the fun out of it for me at least. Good luck to you guys that keep at it, maybe if enough players leave to make a dent they will make some actually improvements for a change. I turn the game on now and stare at the screen and think about bots that need 32 mil in silver to go from 9 to 10 and just cut it off, such a shame too, this was this best game around hands down just a few months ago, oh well, nothing last forever. Lol, I see people who got fairly expensive bots basically free now complaining because they can’t get more. Be glad they let you get what they did and stop crying, please , go play the game and earn some silver so you can upgrade and wait 7 or 8 days to actually get the upgrade and be happy you got a game to play. Money has to be made and tons of it or they pull the plug and you will have to go look for a new forum to cry on. I’m a wallet warrior, big time, I say bring it on, it’s about time, overpowered is boring, unfair one sided advantage is boring, and frustrating as hell for the person on the flip side of that. This is a move in the right direction for sure. This might just turn into a really good thing for all of us. Your Spector with orkans is way overpowered, there is not a bot in the game that can survive those 4 missle pods being unloaded into it, that bot should not even been introduced into the game, at the very least it should have been restricted and not allowed to carry four of certain weapons, like orkans and Tarans. And before you think it doesn’t affect me , I have 3 spectors, I spent dollars on them and other stuff that’s about to take the nerf hammer, I’m glad they are finally addressing the one sided advantage happening in game, give it a chance, it should make the game better for everyone. I spend a ton, because I can presently afford too, I say nerf/buff away. No wallet warriors equals no game, no free to play players equals no game. Like it or not we need each other, the person who spent 100’s of hours building his hanger deserves to be able to be competitive just as much as the person who dropped a ton of cash on all the latest and greatest weapons and bots. Either way it’s an investment, and it takes all of us to keep the game running period. We need each other and we should just try to get along and have fun. I said I dropped a ton on the game, but the second all the free to play peeps give up in frustration, the que times are forever, then the fun stops and I’m out. We need each other, let’s start thinking that way. That was my last long boring whiny complaining post, I was just venting I suppose. Sorry to have to leave the community though. That is the one worst thing about all this, I’ve met some decent people through war robots. Probably losing touch with them is rather sad. To all you decent pilots that are going to try to stick it out I hope things change and you find fun in war robots again soon. Very best of luck to all the diehard pilots that just won’t give up yet. Sincerely good luck and I hope your tolerance and patience pays off. Peace. So, since you forced me to play tdm, I say forced because king of the kill is just terrible, imo, and if I had to choose between it and koth I would pick tdm. You had 2 decent game modes, why did you screw with it. I averaged 1000 activity cups or trophies or what ever you want to call them a week. Every other week I was buying gold solely to skip timers and I was buying a lot of it. Now I barely earn 100 activity cups and I buy nothing, was it worth it? You have already created chaos with new bots and weapons and looking at the test server you are planning to make it even worse. On a single positive note I just read about weapon rebalance and the buffs seem good but have you ever considered just saying “ hey look pilots we screwed up, shock trains were just a bad idea” remove them and just compensate the players that have them in some fair way. The buff are only going to shorten survival time in battle, soon you can just make the battle timer about 4 minutes. 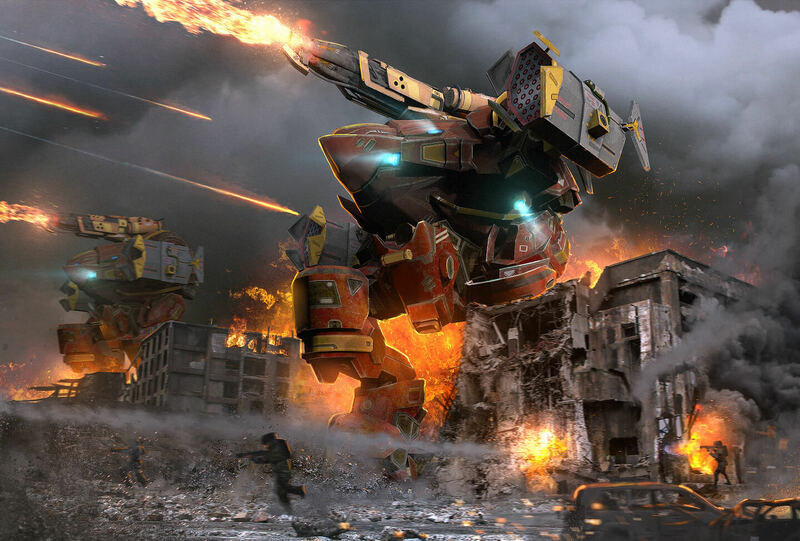 The battle length and the fact you could last till the end a lot of times was one of the main things that drew me to war robots. It astounds me what the devs have done to an awesome game. It was my main time consuming joy and now I’m sorry I ever wasted a single dime on it. I don’t consider spending on gaming if you can afford it to be wasteful if it makes life more bearable, an escape from the stress and all that life gives out. You have made the game more stressful than the stress people were trying to escape. You have 95 percent negative comments here and on your face book page and yet you continue on the same path. Maybe I’m just old and need to go back to board games or something. I just tried to play a few battles and damage is down for some reason now it seems, did you silently nerf taran? They seem really off, maybe it’s just my lack of enthusiasm though. It’s finally time to uninstall and just not look back I think, the clan I have was getting near 200 in ranking most weeks, after your last update it dropped from around 230 to into the 500’s and there are more zeros on the roster than ever and who can blame them, you have killed the joy pixonic, no one soon will have any faith at all , when your not trusted people don’t give your there money. Maybe you just wanted a whole new player base, hope that works out for you then, it seems such a shame to destroy such an awesome game. You must treat those youtubers well, lol, some that seemed stand up guys now seem to promote any crazy thing at all you roll out, so the corruption spreads, when your all washed up a lot of people will have lost faith in them as well possibly, just going to take as many as you can down with you maybe. Hahahahahaha, oh well, soon you will just be a bad memory for me, forcing me to play that tdm was the straw that snapped my camels back,btw, I was tolerating the rest of it, that was a really bad idea, seems you would have reversed that one at least. You guys should take all your ill gotten game dollars and just buy or build a casino, get out of the Mobil gaming racket, you seem to be able to rig gambling to your favor really well. Oh yeah, taking the single positive thing out of the royale game was also a really bad move, premium account time, shows just how money grabbing petty you have gotten I think, sales of premium time must have dropped off. Hey, news flash, it wasn’t cause you were giving a little away, it’s because the games not worth buying any premium time now. You might want to check the devs work space for maybe something like lead contamination, that causes brain damage you know. Something went wrong that’s for sure. I see you guys saying your going to buff wild bunch robots, a few weeks ago you were rebuffing older bots to make them more viable. Changes will surface on the test sever you say. Well I just watched the lastest test sever. I saw nothing of revamping anything older to bring it to the forefront. I did however see more new weapons, they going to cost in excess of a hundred dollars like the latest ones? You added one new weapon and made it around 40 dollars, the medium vortex, made it easier to get, didn’t seem to need yet another missle/rocket weapon that wrecks most of a bots health in a single volley from where I’m setting. 3 new bots as well, more stealth bots, bot that jump and force land and take half the older bots health when they land, don’t need weapons , just landing cause over 20000 damage to anything near, and of course the hellburner, chaos, you seem to want chaos on the live server. Your not updating anything older, your just adding new content as fast as you can crank it out. Not to mention grouping all the fun modes into one random button. You win , I give, I see nothing positive happening, I’m not free to play, I did spend and it was a lot, I won’t say as I don’t wish anyone to think me some braggart. But I will say no more, I had a clan, I just turned over leadership to another member and I won’t play another battle. I’ll leave the game on my devices to check back a few times to see if someone at least attempts to fix the mess the new content has created. I’ve lost all faith in your company and won’t risk my money on any future game either. One more paying player out the door, seems you would stop this madness, I hung in there and kept hoping, apparently in vein. Congrats enjoy the chaos. I’m out , no more. I believe you are correct, you and many others, it’s time to say no more, your short to the point post just inspired me to do the same thing. I play every day normally earning 100 activity trophies each day at least, I’m going straight from here to the App Store and finding another game to kill time with until that random is beacon rush and dom only again. Then I’m going to play a few battles and see just how bad the new content has hurt the game in general. If I see what I expect then it’s uninstall time. I’ve had it, they seem to want feedback so they can be sure to do exactly the opposite of what there player base wants. Vortex? 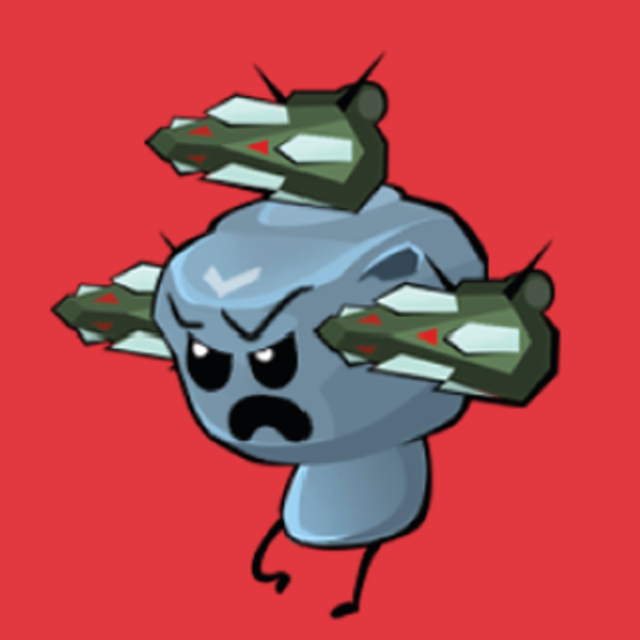 We already have a missle problem, so let’s take the strongest one in the game and add a medium and soon a heavy version on it so every player that doesn’t have or want to use them has to keep their bot up tight against some cover in hopes of not being vaporized before doing any damage to a red bot. Those new weapons with 500 and 600 meters range, both ignore ancil shields, what a waste upgrading ancils, they claim these weapons are meant to counter dash bots, uuuuuuummmmm, HEY!!! PIXONIC!!!! The people that don’t have dash bots and need to counter them can’t afford 100 dollar plus weapons to mount on there obsolete bots. If they could they would counter dash bots with guess what? DASHBOTS!!!! Do you guys really think that anyone is believing that garbage you put out and call news? Talk about about fake news, omg, what a waste of a really great game, this has just became tragic, beyond tragic. You won’t call a bot exorcist but you will blatantly commit at least one of the 7 deadly sins and then pretend in the fake news you put out that you are concerned about the players that support the game you have now ruined. Ladies and gentlemen, it’s time to piss on the fire and call in the dogs, game over for real this time. Enjoy those longer and longer wait times to fight in a battle mode you hate. Stop now everyone, there is only one way to force any positive change, you have to hit them where they live, when the profit drops, the bullshitt stops. Peace to everyone who has been kicked and slapped by these money grubbers. To pixonic, well I hope you come to your senses and stop forcing folks to play modes they don’t like and adding content no one wants, I doubt you listen to anything that anyone has said, you should, but it’s probably too late already, RIP War Robots you will be missed. You may want to consider changing that company name pixo, some people are going to remember this. I wonder do they even realize most tankers dont really just leave the battle. In case your missing it, they dump the first four bots (assuming all 5 slots are open) then fight a little (in many cases I’ve noticed, I’ve been watching some of them) with the last bot. The current fix doesn’t fix anything. It shouldn’t be that big of a deal to write or make an algorithm that catches constantly dumping bots , then they won’t dump them they will just walk toward the first red bot they see and suicide. At least then the rest of us can benefit from the damage inflicted. Catching them at that becomes more complex I would assume when you are going to add bots with 4 medium slots. Someone screwed over by the matchmaker who gets slaughtered could be mistaken as suiciding fighting such op monsters and even dash bots can take out lower level bots with out taking damage. I know nothing of monitoring something like this game to catch cheaters and what it would take and actually cost. I would think that it can’t be that hard to spot a player that suddenly drops two or three leagues and then does so again and again could be that hard. Changes to the matchmaker (once again I’m assuming) did cause several in the clan I’m in to get demoted as much as two leagues right after the last update. Point being that would have to be taken into account so as not to wrongly punish an honest player. As well as disconnects, this is still a major problem as well, especially when squading, I don’t disconnect when I’m on decent WiFi or when I’ve got a strong stable mobile data signal, except sometimes when I’m squading, there seems to be a connection. I can solo all day long and never have a single disconnect, form a squad and disconnect 3 times in one battle, although it’s not consistent, but it is frequent enough to know there seems to be a connection. If anyone has this same issue with disconnects post it in response please, not that it will do any good but who knows, someone with some say in things might notice it, hey I can dream can’t I? Lol, The tanking issue hurts every player trying to play fairly, maybe it’s way more complex than it seems and I’m just assuming too much, idk, but it looks to me like a whole lot of time and effort has been put into adding op bots and weapons that the majority of responses too says they are unwanted. About everyone fair minded wants something real effort wise done to detour tanking, bigger supply drops in higher leagues won’t change a thing, they tank to farm easy silver and gold, mostly silver. The supply drops are great for honest players, but tankers are going to tank until you figure out a way to catch them. I love this game but if it continues in the direction it’s going with this constant adding of overpriced op content (I’m not free to play) I spend money in games at times, but Spector just stopped that completely. Quickly figuring from looking at the component prices strider was in excess of 200 and Spector in excess of 300 if someone wanted to straight out buy components the first day. Thats ludicrous pricing and the component quantities are numbers that would force you the buy more than you actually needed which seems like a slap in the face to me. Sorry, I’m rambling, the point is I’m going to wait and see what those two new bots do to the live server before I spend another single penny. I’ll bet I’m not the only one. Once you can’t last but 1 or 2 minutes because hit points are not enough on any bot to stand up to these new op things, well there goes the only reason I play. Seems they are trying to shorten battle times or something, idk. Now an honest player can’t leave once all his bots have been vaporized by op content? Maybe it’s just you can’t leave with bots left, idk. I’m losing interest fast and patience, I regret ever supporting this game as it seems they listen to feed back just so they can do the opposite of what everyone wants. Hey maybe they just want to use the servers for some new game they are creating, hahahahaha, it’s the only thing that makes sense. Unless that really is what you guys are up too you might want to wise up, when the spending players have had enough you will need to find something to do with those servers, just saying, hope someone’s listening every spending and free player I’ve talked with are watching your 4 medium weapon holding way overpriced cash cow, could be the last straw for many, that’s money out the door. Oh well, someone will make a new game I guess, just seems like such a waste of a once great game, but what do I know? I’m just a clown that gave you a pile of money so you could kick me in the face for it, lol. Peace. The poll is impossible to complete, each time you try tor select an answer it snaps to the bottom of the page and you have to scroll back to the section where the poll is. A very annoying glitch. You guys should put a way on this website in general a way to edit or delete theses comments. Your talk of adding filters to clans concerns me, if it’s optional that’s fine, but the clan I’m lead to we have different languages and we manage just fine. Currently we rank at 233 and we like our clan as is, would prefer no one starts screwing with the way we have it now. Members that are bilingual make communications possible and everyone gets along just fine. In fact having to use a translator has actually taught me some Spanish and I’m sure it’s working the other way around to the people I talk with. Please don’t start segregating us and ruin our clan. a Leo with a tempest and 3 norcums can be very effective at 300 to 500 meters. Anything beyond needs to be stationary to really score good damage with the norcums. The build can defend itself nicely with the tempest. A butch with 4 zenits can lay down a constant barrage of rockets as long as you want it too, it can totally disrupt snipers to the point they just give up and punch out, stubborn pilots end up auto ejected. Both norcums and zenits do best at there minimum range out to 500 for me personally but work nicely at max range for anyone who just stands there as some snipers like to do. There both also down right fun to use, but please only while there useful, common sense should always dictate, after all this is a team based game , be kind to your teammates and punch out when need be and use the proper bot for the situation. I 2nd this suggestion for showing the blue teams health bar to the blue team, sometimes protecting a team mate can make all the difference, you need all the weapons you can get in a fight. Knowing which team mate needs protected most would be most helpful. The storms work well 2 or 3 together, I use them to finish off targets left by team mates, hang back and cleanup with them. Nice for racking up kills for the bonus tasks. Every take down is one less set of weapons aimed at you and your team mates. Nice article thanks. You maybe just made my doc useful, thanks, I just can’t get the hang of ole Doc, but that’s a very good idea. Nice article, thanks a lot. How about “Robot that finally finished off a once great game” cause from most of the reactions I’ve seen it may just in fact do that, I hope not because war robots is a great game. But I fear thing are going to go even further south, the latest news has some really promising sounding ideas, why self this one that most of your customers seem to hate from what I’ve read and go with some of the other ideas, like revamping older bots and making them useable again. Do that first and people may be more supportive of new bots. Once the battles start lasting 2 or 3 minutes my interest and money will be gone. Being able to have a fighting chance half the time is one of the things that keeps me interested personally, maybe some others feel the same. Please reconsider this new robot and at least delay its release if not scraping the concept all together. I couldn’t find a better place to post this so please forgive it, relating to all comments in general can you include a way to delete your own comments if you desire too or at least a way to edit a posted comment of your own. Other websites of this type have these features and if you already do and I have somehow missed that please forgive. They give a lot of those YouTube guys special accounts to post content of the game on YouTube, not all of them, but several of them. But I know what your saying for sure. I know, I got to try to vent it somewhere though, just hate to see a good game going down in flames, hard to find any that really can hold my interest. Feel free to elaborate, what didn’t you agree with, you are correct I should have put that different. My bad, won’t put it like that again, I was wondering what you didn’t agree with though, I can take the hit and even say your probably right that was just my opinion and maybe bad advice even. I get carried away at times and don’t proof read, if I had I may have dropped that part or changed it. Would like to know what parts you didn’t agree with though. This all sounds great, I had hope when the storm weapon drop and it was reasonably priced, and the gust I see is as well. But the redeemer is not, this is how it’s going to be? The really powerful stuff will cost me a days pay almost? I spend money on this game and I don’t mind doing so to support the platform. But there is a limit to how far ill go and 100 dollar a piece weapons is beyond that limit. There are many many like me I’m sure, I beginning to get frustrated with these extremely high prices. I’m reasonable and know you guys have to make a profit or why bother keeping the servers on. You should be reasonable and not charge so much per item, it’s just too much in some cases. I like others I’m sure spend on a regular basis but I’m not wealthy, if I’m going to let go of my money I should be able to get the content I really want. Sooner or later you will lose middle of the road players and the dollars that they give you, will the wealthy ones be enough to keep the lights on over there? Please price stuff more reasonably. You have a great game and your future ideas sound awesome. But when people have to watch and be killed by stuff they can’t afford and they spend hundreds of dollars as well they go to a lesser game where the pricing is more reasonable. Please consider this pricing on these future great ideas carefully, one more out of reach weapon and it could the last straw for those of who feel like were being cheated ( I won’t even comment on the casino you have started today) . This is good advice I think and I hope you guys will read and consider.